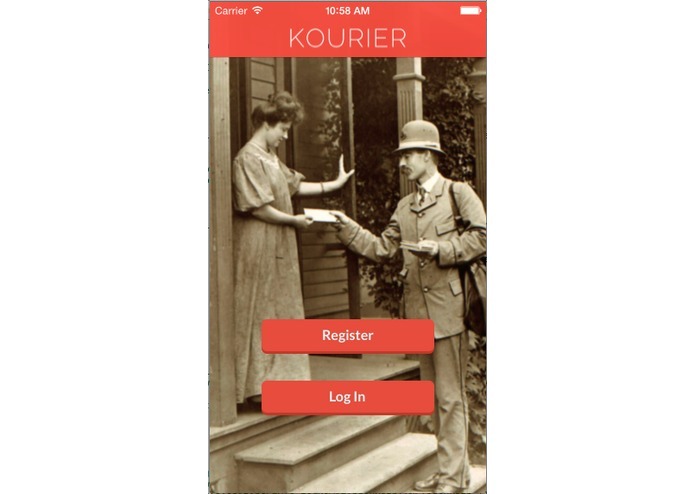 Welcome to Kourier, the best app for students! Everyone knows student life is hectic these days. Between class, studying, and the relentless struggle to be the best, students rarely have time to breathe. In an ever-competitive job market, students often skip class to attends interviews or business gatherings. Oftentimes medical issues arise and as our mothers always told us, health is always a top priority. But what if you have to turn in your homework or a paper, or send a vital document? What if your friend can't give you a hand? What can you do in these situations? Here at Kourier, we have developed the perfect solution for these inconvenient situations: pay someone else to do it! We have developed a mobile app to help link you to students on your campus to aid you in turning in materials when you have a conflict. 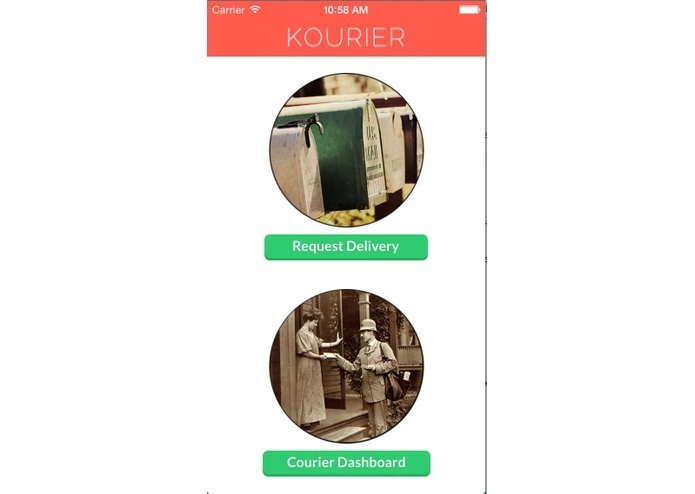 Currently developed for iOS with a Node.js and MongoDB backend, Kourier is quick and easy to use. We developed our own API to access information on our database. Additionally, we used the SendGrid web API for client email validation.